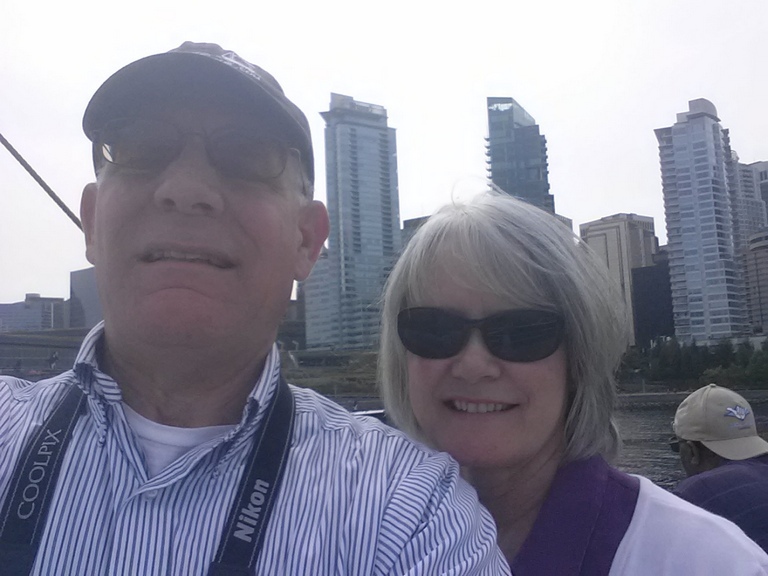 We Drove to Vancouver, BC and took the 1 hour harbor cruise. Enjoyed that very much. I took a lot of photos as we cruised the bay. Then we walked several blocks into the city and had lunch at an open air table. Then walked around Stanley Park (largest city park in the world). 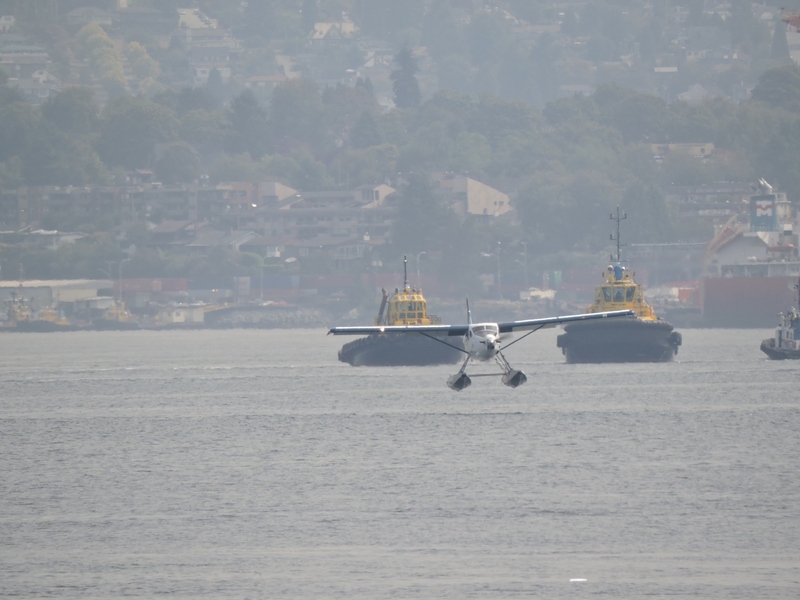 There is a float plane air service here in the bay. The largest in the world they claim. There are flights coming and going maybe every thirty minutes. 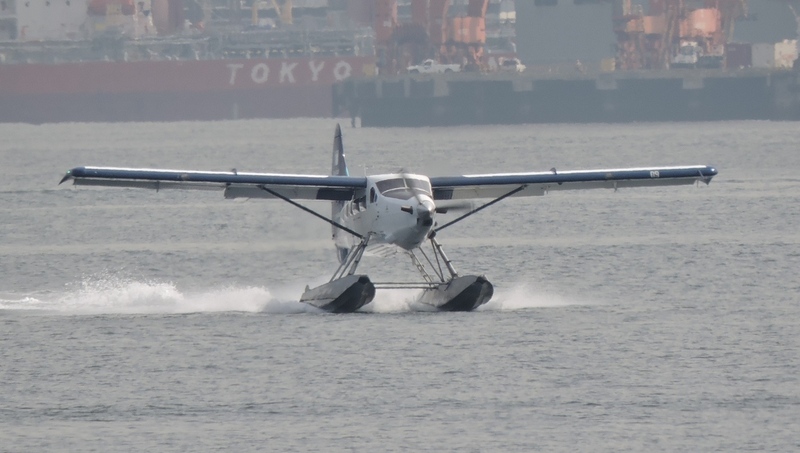 Same plane, zoomed in via cropping. 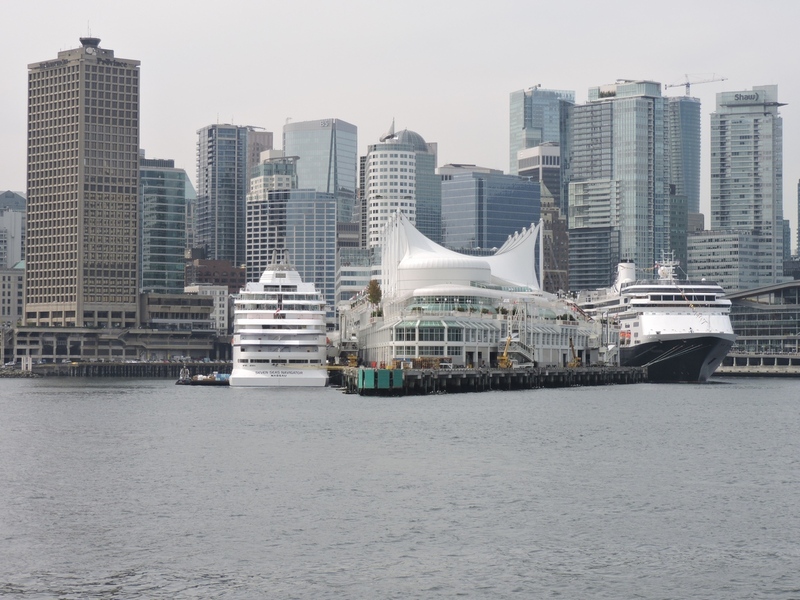 The docks can handle up to four cruise ships at a time. This a very popular starting point for cruises through the inner passage. Connie requests selfies. I'm proud to say that I'm not very good at it. 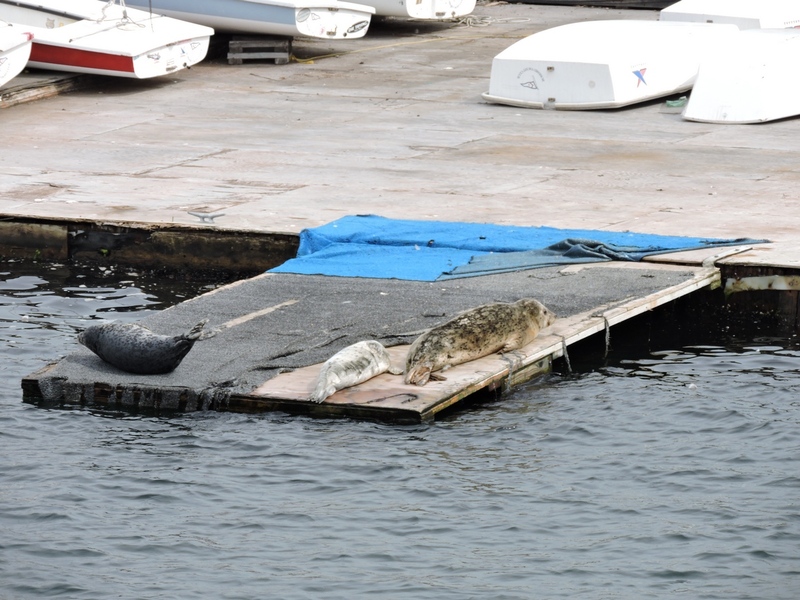 Harbor seals taking there siesta. There was another larger group as well. 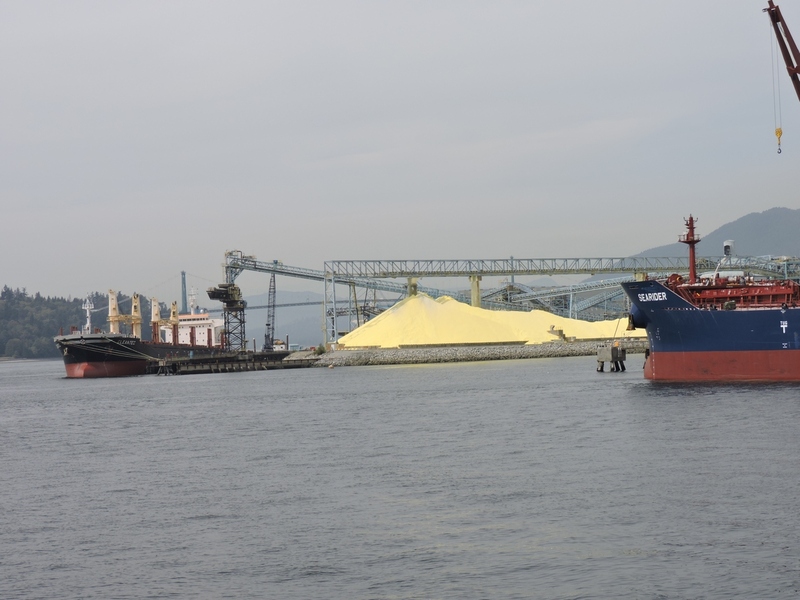 Sulfur that is extracted from oil in Alberta is pelletized so that it can be handled, and is being loaded for shipment to who knows where. The bridge to North Vancouver. After the harbor cruise we walked a few blocks into the city and found a cafe and had lunch. Then we walked back to Stanley Park and walked around the park. Of course we couldn't cover even half of it, as it is 1300 acres (or something like that.. larger than New York City's Central Park). So after walking around, we got in the car and drove around the permiter of the park. 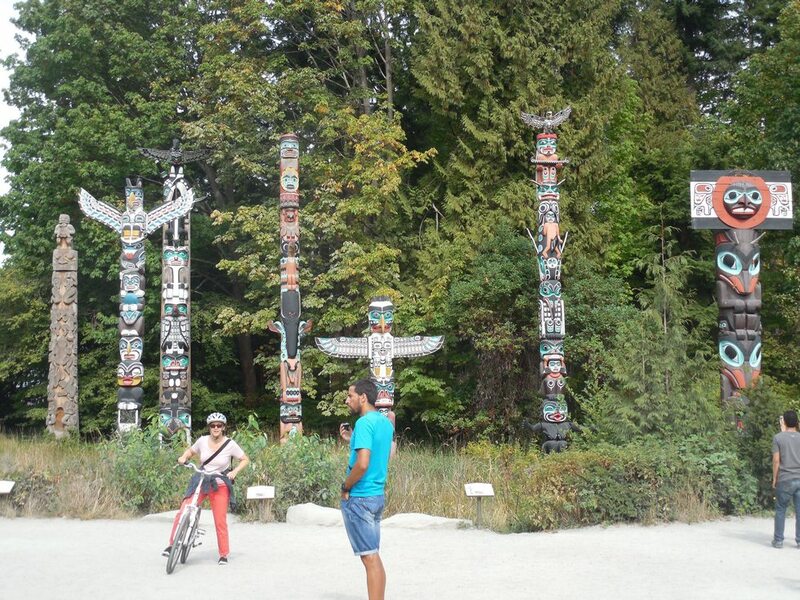 That included a stop at the totem poles.